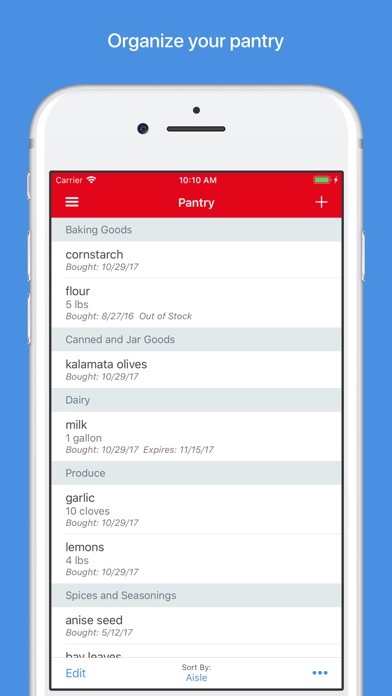 I've been using Paprika for at least a year now after switching over from Plan to Eat for recipe management and grocery IQ as a grocery list app. 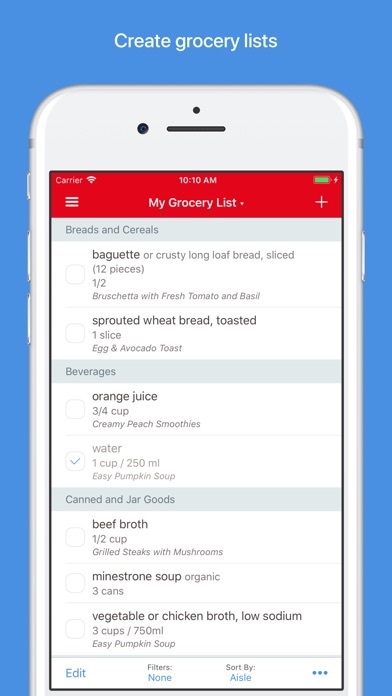 It has really helped to streamline my meal planning, grocery shopping, and recipe management. Overall, I love it! Even at a higher price, I was more than happy to make a one time purchase as opposed to paying monthly for plan to eat. Here are a few asks of the app developers, if they read these reviews. These improvements would make a great app even better: 1. There needs to be a way to see items you have checked off your grocery list. I can't tell you how many times I have accidentally checked something off the list but I have no idea what it was, and there is no way to find it. 2. I would love to be able to see what recipe a specific ingredient goes with on my grocery list. That way, if I get to the store and they're out of a key ingredient, I can easily see what else to remove from my list if I have to scrap a particular recipe. 3. It would be so helpful to have a "Favorites" list for specific stores, so I can quickly build a grocery list with things I commonly buy. 4. The ability to add an ingredient to the grocery list from note on the meal plan. For example, if I plan broccoli to go with a meal and add it as a note, it won't add it to the grocery list unless it is part of a recipe. I don't need a recipe for broccoli, I just need it to be added to the grocery list so I don't forget it. 5. A queue for recipes you want to make soon. Lots of times I see new recipes I want to try soon, but by the time I've gotten around to meal planning, I've forgotten all about them. 6. 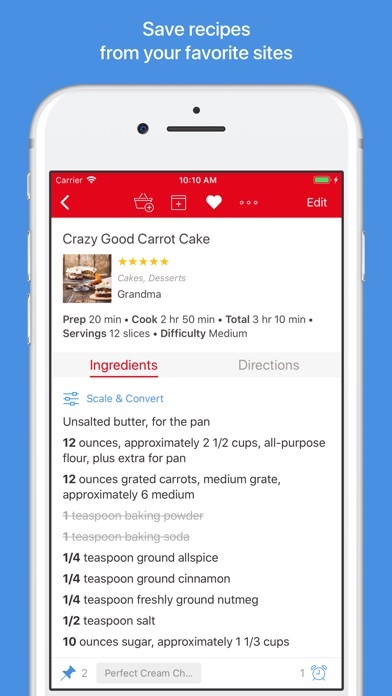 It would see awesome to be able to share recipes more easily with other paprika users. My mom uses it also, but there isn't really a great way to share. I would love for us to be able to see each other's recipes and meal plans...like social networking for recipes and meal planning. 7. This one is probably a pipe dream, but if there was a way to send my grocey list to the grocey pickup service I use (HEB to you in my case), I would think I had died and gone to heaven. But I get that there are tons of different services and would probably be super complicated. Thank you for all the work you do! Your app makes my life easier! Include price entry field for pantry items! I’d love it if it were possible to track the per-meal cost of recipes based on purchased pantry items. Ditto for entering nutrition information in a way that would make it easier to sort recipes and plan meals based on macro, calorie, and budgeting goals. Making it easy to meal plan based off on nutrition and price would be a game changer. So I can’t say enough good things about this app! I’ve tried multiple apps over the years trying to do everything this one accomplishes. Until I found this one and now I use it everyday. Seriously, every day! I LOVE that all my recipes live in the same location and that I can meal plan with them (and save that plan!) and it will create a grocery list for it! And a specific one - that includes quantities! Not to mention how easy it is to download new recipes. Okay I’m going to stop now. But if you’re on the fence, I would say get it! You will not regret it! All that being said, why did I rank it 4 stars instead of 5? There are a couple things I REALLY wish it did better. Firstly, the nutritional element is pretty much absent. There’s text field for each recipe called “nutrition” where you can add that info but nothing else is being done with it; you can glance at it when you’re in that recipe but you can’t see it from any search view and you can’t plan your meals with it and there’s also no structural consistency to it (since it’s just a text field) I think it would really be great to be able to create menus that hit daily or weekly targets like calories, fat, fiber, protein, etc. 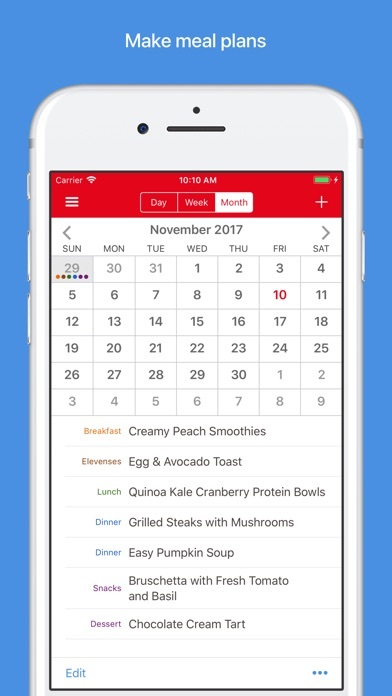 if it could add the nutritional info and tally it at the end of each day/week so that I can compare it to my targets (or even if you could set your own target in the app!). Oh my gosh that would be amazing! This one is actually kind of a big deal to me since to do this now, I have to go into each recipe and write the nutrition info on a separate paper and tally manually :P Secondly, I don’t know if this is in the works(?) but I can’t access the app from my pc. Which means I can only work off my phone when adding recipes and organizing info. Which, needless to say takes a LOT longer that way. I wish I could use both. Especially because on my phone, I would have to “edit” each recipe to take advantage of copy/pasting nutritional info. (Which is clunky and more time consuming than just writing it down) I believe Mac computers are supported just not pc’s :( please, please fix that! 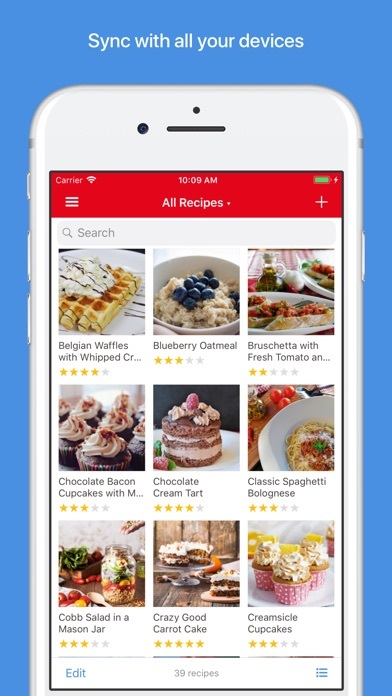 I’ve tried a few recipe manager apps, and this is by far the best. It’s easy to add new recipes and edit ones you’ve already saved. Very much worth the price. Best $5 I’ve spent! I was struggling to find a way to manage my recipes and grocery lists, it was totally uninspiring. This app has taken the thinking out of getting meal-prep ready for the week!